Their new smiles are waiting. Let’s get started. Show your patients what treatment can do for them. Provide a personalized treatment plan. Start with a fast, precise, digital scan, turned into a customized treatment plan for each patient. You’ll even get to preview their new smile with them. 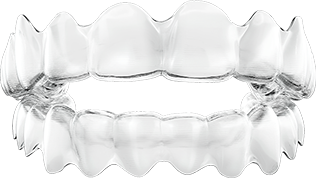 Aligners are custom-made for your patients. Aligners are shipped to you. Your patients can pick-up their aligners while you periodically monitor their progress throughout their treatment. Your patients live life without interruptions. Their lives move fast. And, with Invisalign clear aligners, nothing will slow them down. © 2019 Align Technology, Inc. All rights reserved.